Ships today if you order in the next 1 hours 21 minutes. Auto Ship & Earn + 172 Points What's this? When it comes to nutrient absorption in your body, many things may limit it. One of the largest factors is debris accumulation in your intestines. If you've been wondering how to avoid this buildup, Blessed Herbs has a simple, easy-to-use solution. 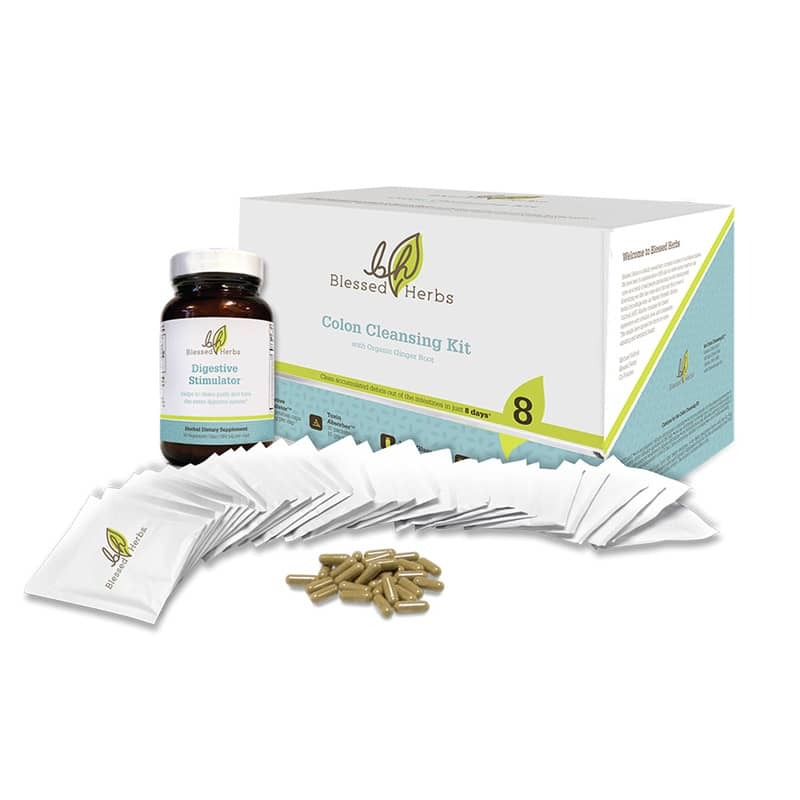 Colon Cleansing Kit contains everything you need to get rid of the debris and buildup in your intestines. Made to be used over an 8-day period, this kit includes a 5-day liquid-only fast, but you'll have the option of eating while completing the program. The Blessed Herbs Colon Cleansing Kit is a flexible and fast way to cleansing your intestines and colon. It can be done in as little as 8 days or as many as 30--you choose from four different options. Improve your overall health while you work to cleanse your intestines and colon. 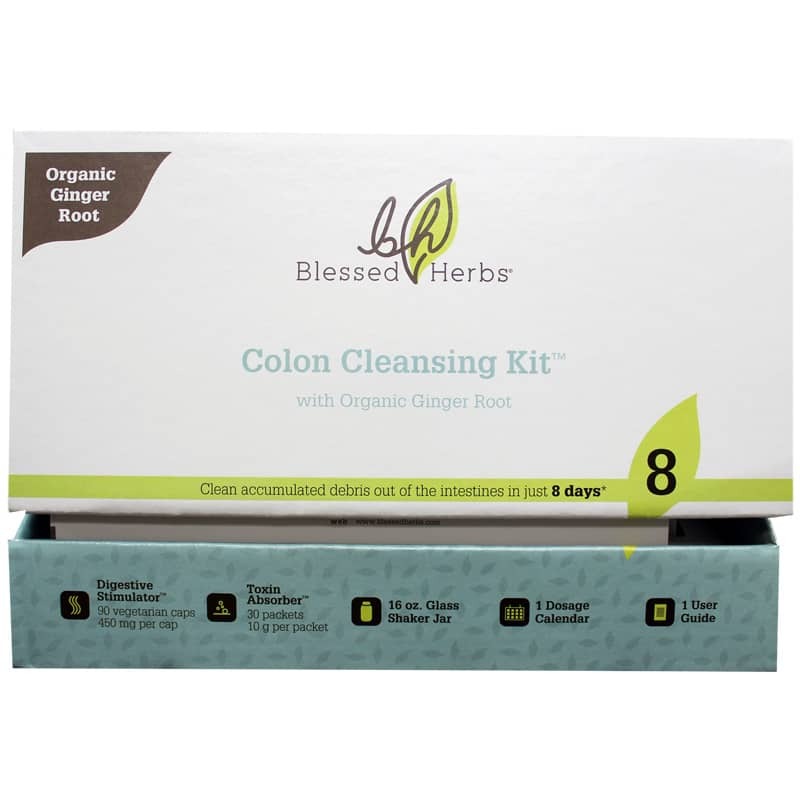 Try the Colon Cleansing Kit from Blessed Herbs today for a happier, healthier, more regular you. I almost turned it away they really need to arrange so people who order are not stuck with hundreds of dollars for<br>Import fees!!!!! This really exceeded my expectations! I wasn't sure what to expect but boy was it shocking what comes out of you! I did the best option, and thought it took some adjusting it was well worth the struggle! I will suggest to show up your toxin packet with organic apple juice and let it sit for a minute or two until it's thick; almost resembling apple sauce. This helps you to feel full once you drink it! I am on my third day of Step 2 and doing fine...don't even miss morning coffee. This was my first colon cleanse and I am really glad I did it. I might even start doing a kit each spring and fall as a positive step toward a healthier life. I would recommend the ginger kit as it was recommended to me by two of my friends. Great product, I will continue to use it to better my health.